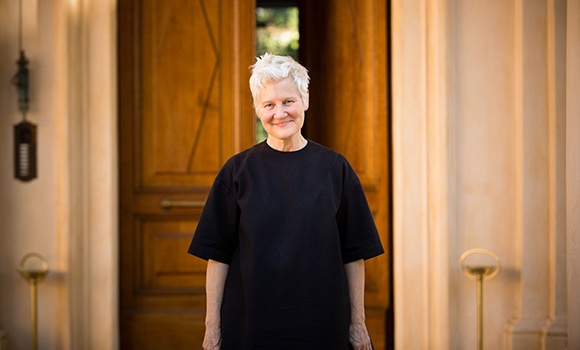 Update: Due to Hurricane Michael, the artist talk with Ann Hamilton on Thursday has been cancelled. The University is working to reschedule the lecture for a later date. The Friday night event will proceed as planned. UNC Greensboro will welcome visual artist Ann Hamilton, pianist Lara Downes and educator and actor Alexander Bernstein – son of composer and conductor Leonard Bernstein – to campus this week as part of the University Concert and Lecture Series (UCLS). On Thursday, Oct. 11, Hamilton will give a talk in the Elliott University Center Auditorium. The 7 p.m. event is free and open to the public. Hamilton is known for her site-responsive large scale installations, public projects and performance collaborations. On Friday, Oct. 12, Bernstein and Downes will host an intimate and compelling evening of music and conversation as part of “Leonard Bernstein at 100,” a global celebration of what would have been the 100th birthday year of the renowned composer, conductor, educator, cultural ambassador and humanitarian. Tickets for Friday’s event start at $5 for students, $10 for non-UNCG students, $25 for adults and $15 for seniors, military service members, faculty, staff and retirees. This week’s events round out the first half of UCLS. The series will pick back up in February with Falk Visiting Artist Carrie Mae Weems. For more information and to purchase tickets, visit ucls.uncg.edu.